Support the museum and make an impact. Your membership is not currently eligible for renewal. Exclusive tour for member and allotted guests with a museum docent. A nominal fee applies. With 10,000 square feet of exhibition space and one of the largest collections of its kind in the United States, the Department of Architecture and Design at the Art Institute of Chicago has earned international renown and is a critical asset to Chicago’s design community. The Architecture & Design Society supports the activities of this esteemed department while offering its members a rich program of events including exhibition openings, receptions, lectures, and exclusive tours. The AAC is a support organization for the Department of Asian Art of the Art Institute of Chicago, which houses one of the major US collections of Asian art. The AAC acts as a forum for education and discussion about Asian art—from ancient to modern—through lectures, demonstrations, gallery walks, and visits to private collections. This group of young professional Art Institute members, ages 21-40, meet regularly for lively events hosted here at the museum and throughout Chicago's art scene. 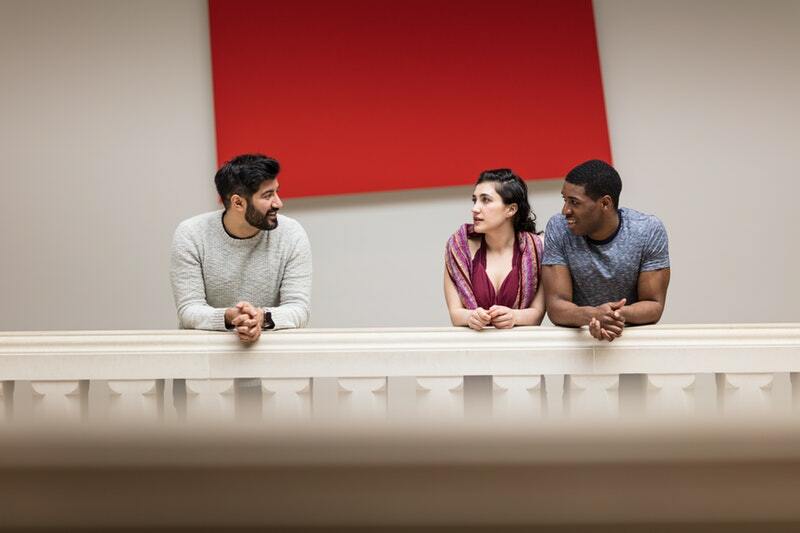 Connect with your art-loving peers and grow your social circles while learning about the Art Institute's iconic collection and groundbreaking exhibitions. Join today to hear first about upcoming Evening Associates events. The OMS brings together more than 500 members who share a passion for the art of Europe from the 13th to 20th century. OMS programming includes exhibition previews, receptions, dinner and luncheon lectures by distinguished scholars, and trips to museums and private collections both in the United States and abroad. Founded in 1989, the Photography Associates at the Art Institute of Chicago presents programs that foster an appreciation of photography and encourage private collecting. Membership helps to support the acquisitions of the Department of Photography. Print and Drawing Associates members support the exhibitions, acquisitions, and programs of the Prints and Drawings Department. Together we foster and promote a deeper understanding of works of art on paper. For all levels of membership in the Print and Drawing Club, your contribution is tax deductible to the extent allowable by law. The SCA was founded to promote a better understanding and appreciation of the art of our time It provides monthly programing with access to an exciting roster of leading national and international artists, dealers, critics, historians, and curators, as well as visits to distinguished private collections in the United States and abroad. This society is proud to support the Department of Textiles, one of the most comprehensive, international collections of textiles in the world. Members are invited to exclusive events, previews of textile exhibitions, special museum and departmental programs, and study trips to different public and private collections.